The Open Group launched its Open Platform 3.0™ Forum nearly one year ago at the 2013 Sydney conference. Open Platform 3.0 refers to the convergence of new and emerging technology trends such as Mobile, Social, Big Data, Cloud and the Internet of Things, as well as the new business models and system designs these trends are pushing organizations toward due to the consumerization of IT and evolving user behaviors. The Forum was created to help organizations address the architectural and structural considerations that businesses must consider to take advantage of and benefit from this evolutionary shift in how technology is used. We sat down with The Open Group CTO Dave Lounsbury and Open Platform 3.0 Director Dr. Chris Harding at the recent San Francisco conference to catch up on the Forum’s activities and progress since launch and what they’ll be working on during 2014. 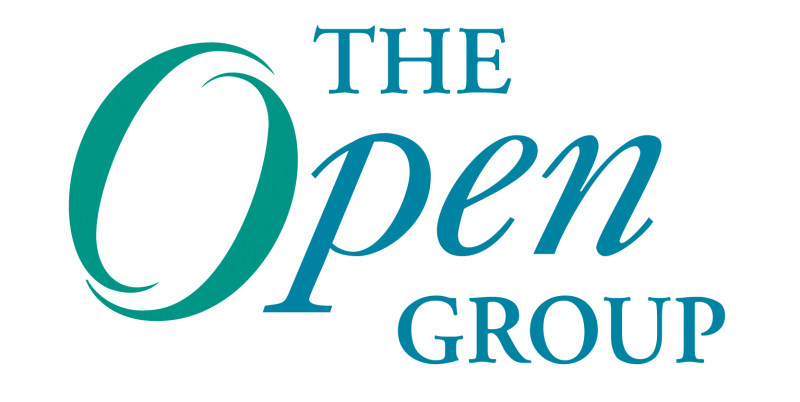 The Open Group’s Forum, Open Platform 3.0, was launched almost a year ago in April of 2013. What has the Forum been working on over the past year? Chris Harding (CH): We launched at the Sydney conference in April of last year. What we’ve done since then first of all was to look at the requirements for the platform, and we did this using the proven TOGAF® technique of the Business Scenario. So over the course of last summer, the summer of 2013, we developed a Business Scenario capturing the requirements for Open Platform 3.0 and that was published just before The Open Group conference in October. Following that conference, the main activity that we’ve been doing is in fact furthering the requirements space. We’ve been developing analysis of use cases, so currently we have 22 different use cases that members of the forum have put together which are illustrating the use of the convergent technologies and most importantly the use of them in combination with each other. What we’re doing here in this meeting in San Francisco is to obtain from that basis of requirements and use cases an understanding of what the platform fundamentally should be because it is our intention to produce a Snapshot definition of the platform by the end of March. So in the first year of the Forum, we hope that we will finish that year by producing a Snapshot definition of Open Platform 3.0. Dave Lounsbury (DL): First, the roots of the Open Platform go deeper. Previous to that we had a number of works groups in the areas of Cloud, SOA and some other ones in terms of Semantic Interoperability. All of those were early pieces, and what we saw at the beginning of 2013 was a coalescing of that into this concept that businesses were looking for a new platform for their operations that combined aspects of Social, Mobile, Cloud computing, Big Data and the analytics that go along with it. We saw that emerging in the marketplace, and we formed the Forum to develop that direction. The Open Group always takes an end-to-end view of any problem – we like to look at the whole ecosystem. We want to make sure that the technical standards aren’t just point targets and actually address a business need. Some of the work groups within The Open Group, such as Quantum Lifecycle Management (QLM) and Semantic Interoperability, have been brought under the umbrella of Open Platform 3.0, most notably the Cloud Work Group. How will the work of these groups continue under Platform 3.0? CH: Some of the work already going on in The Open Group was directly or indirectly relevant to Open Platform 3.0. And that first and most importantly was the work of the Cloud Work Group, Cloud being one of the convergent technologies, and the Cloud Work Group became a part of Platform 3.0. Two other activities also became a part of Open Platform 3.0, one was of these was the Semantic Interoperability Work Group, and that is because we recognized that Semantic Interoperability has to be an important part of how these technologies work with each other. Though it may not be that we have a full definition of that in the first version of the standard – it’s a notoriously difficult area – but over the course of time, we hope to incorporate a Semantic Interoperability component in the Platform definition and that may well build on the work that we’ve been doing with the Universal Data Element Framework, the UDEF project, which is currently undergoing a major restructuring. The key thing from the Open Platform 3.0 perspective is how the semantic convention relates to the convergence of the technologies in the platform. In terms of QLM, that became part become of Open Platform 3.0 because one of the key convergent technologies is the Internet of Things, and QLM overlaps significantly with that. QLM is not about the Internet of Things, as such, but it does have a strong component of understanding the way networked sensors and controls work, so that’s become an important contribution to the new Forum. DL: Like in any platform there’s going to be multiple components. In Open Platform 3.0, one of the big drivers for this change is Big Data. Big Data is very trendy, right? But where does Big Data come from? Well, it comes from increased connectivity, increased use of mobile devices, increased use of sensors – the ‘Internet of Things.’ All of these things are generating data about usage patterns, where people are, what they’re doing, what that they‘re buying, what they’re interested in and what their likes and dislikes are, creating a massive flood of data. Now the question becomes ‘how do you compute on that data?’ You need to handle that massively scalable stream of data. You need massively scalable computing underneath it, you need the ability to move large amounts of information from one place to another. When you think about the analysis of data like that, you have algorithms that do a lot of data access and they’ll have big spikes of computation, as they create some model of it. If you’re going to look at 10 zillion records, you don’t want to buy enough computers so you can always look at 10 zillion records, you want to be able to turn that on, do your analysis and turn it back off. That’s, of course, why Cloud is a critical component of Open Platform 3.0. Open Platform 3.0 encompasses a lot of different technologies as well as how they are converging. How do you piece apart everything that Platform 3.0 entails to begin to formulate a standard for it? CH: I mentioned that we developed 22 use cases. The way that we’re addressing this is to look at use cases and the business and technical ecosystems that those use cases exemplify and to abstract from that some fundamental architectural patterns. These we believe will be the basis for the initial definition of the platform. DL: That gets back to this question about how were starting up. Again it’s The Open Group’s mantra that we look at a business problem as an end-to-end problem. So what you’ll see in Open Platform 3.0, is that we’ve done the Business Scenario to figure out what’s the business motivator, what do business people need to get this done, and we’re fleshing that out with these details in these detailed use cases. One of the things that we’re very careful about in The Open Group is that we don’t replicate what’s going on in other standards bodies. If you look at what’s going on in Cloud, and what continues to go on in Cloud under the Open Platform 3.0, banner, we really focused in on what do business people really need in the cloud guides – those are how business people really use it. We’ve stayed away for a long time from the bits and bytes – we’re now doing a Cloud Reference Architecture – but we’ve also created the Cloud Ecosystem Reference Model, which was just published. That Cloud Ecosystem Reference Model, if you read through it, isn’t about how bits flow around, it’s about how partners interact with each other – what to look for in your Cloud partner, who are the players? When you go to use Cloud in your business, what players do you have to engage with? What are the roles that you have to engage with them on? So again it’s really that business level of guidance that The Open Group is really good at, and we do liaison with other organizations in order to get technical stuff if we need it – or if not, we’ll create it ourselves because we’ve got very competent technical people – but again, it’s that balanced business approach that distinguishes The Open Group way. Many industry pundits have said that Open Platform 3.0 is ultimately about a shift toward user-driven IT. How does that change the standards making process when most standards are ultimately put in place by technologists not necessarily end-users? CH: It’s an interesting question. I mentioned the Business Scenario that we developed over the summer – one of the key things that came out of that was that there is this shift towards a more direct use of the technologies by business users. And that is partly because it’s becoming more possible. Cloud is one of the key factors that has shortened the cycle of procuring and putting IT in place to support business use, and made it more possible to manage IT directly. At the same time [users are] becoming impatient with delay and wanting to gain the benefits of technology directly and not at arms length through the IT department. We’re seeing in connection with these phenomena such as the business technologist, the technical specialist who works with or is employed by the business department rather than within a separate IT department, and one of whose key strengths is an understanding of the business. So that is certainly an important dimension that we’re seeing and one of the requirements for the Platform is that it should be usable in an environment where business is using IT more directly. But that wasn’t the question you asked. The question was, ‘isn’t it a problem that the standards are defined by technologists?’ We don’t believe it’s a problem provided that the technologists do have an understanding of the business environment. That was why in the Business Scenario activity that we conducted, one of the key inputs was a roundtable workshop with CIO level people, and that is where a lot of our perspective on why things are changing comes from. Open Platform 3.0 certainly does have dimension of fundamental architecture patterns and part of that is business architecture patterns but it also has a technical dimension, and obviously you do really need the technical people to explore that dimension though they do always need to keep in mind the technology is there to serve the business. DL: If you actually look at trends in the marketplace about how IT is done, and in fact if you look at the last blog post that Allen [Brown] did about agile, the whole thrust of agile methodologies and its successor DevOps is to really get the implementers right next to the business people and have a very tight arrangement in order to get fast iteration and really have the implementer do what the business person needs. I actually view consumerization not as some outside threat but actually a logical extension of that trend. What’s happening in my opinion is that people who are not technologists, who are not part of the IT department, are getting comfortable using and managing their own technology. And so they’re making decisions that used to be made by the IT department years ago – or what used to be the IT department. First there was the big mainframe, and you handed in your cards at a window and you got your printout in your little cubby hole. Then the IT department bought your PC, and now we bring our own devices. There’s nothing wrong with that, that’s people getting comfortable with technology and making decisions. I think that’s one of the reasons we have need for an Open Platform 3.0 approach – to develop business guidance and eventually technical standards on how we keep up with that trend. Because it’s a very natural trend – people want to control the resources they need to get their job done, and if those resources are technical resources, and they’re comfortable doing that, great! Convergence and Open Platform 3.0 seem to take us closer and closer to The Open Group’s vision of Boundaryless Information Flow™. Is Open Platform 3.0 the fulfillment of that vision? DL: I think I’d be crazy to say that it’s the endpoint of that vision. I think being able to move large amounts of data and make decisions on it is a significant step forward in Boundaryless Information Flow, but this is a two-edged sword. I talked about all that data being generated by mobile devices and sensors and retail networks and social networks and things like that. That data is growing exponentially. The number of people who can make decisions on that data are growing at best linearly and not very quickly. So if there’s all this data out there and nobody to look at it, we need to ask if we have we lowered the boundary for communications or have we actually raised it by creating a pile of data that no one can climb? That’s why I think a next step is, in fact, more machine-assisted analytics and predictive analytics and machine learning that will help humans digest and understand that data. That will be, I think, yet another step toward Boundaryless Information Flow. Moving bits around does not equate to information flow – its only information when it moves from data to being information in a human’s brain. Until we lower that barrier as well, we’re not there. And even beyond that, there’s still lots of things that can be done, in terms of breaking down human language barriers and things like that or social networks in more intuitive ways. I think there’s a long way to go. I think this is a really important step forward, but fulfillment is too strong a word. CH: Not in itself, I don’t believe. It is a major contribution towards the vision of Boundaryless Information Flow but it is not the complete fulfillment of that vision. Since we’ve formulated the problem statement of Boundaryless Information Flow there have been a number of developments that have impacted on it and maybe helped to bring it closer. So you might think of SOA as an important enabling technology for Boundaryless Information Flow, replacing the information silos with interacting services. Now we’re seeing Open Platform 3.0, which is certainly going to have a service-oriented flavor, shall we say, although it probably will not look exactly like traditional SOA. The Boundaryless Information Flow requirement was a very far-reaching problem statement. The Interoperable Business Scenario was where it was first set out and since then we’ve been gradually making process toward it. Open Platform 3.0 will bring it closer, but I’m sure there will be other things still needed to make it happen. One of the key things for Boundaryless Information Flow is Enterprise Architecture. So within a particular enterprise, the business and IT needs to be architected to enable Boundaryless Information Flow, and TOGAF is the method that is defined and maintained by The Open Group for how enterprises define enterprise architectures. Open Platform 3.0 will complement that by providing a ‘this is what an architecture looks like that enables the business to take advantage of this new converging technologies.’ But there will still be a need for the Enterprise Architect to put that together with the other particular factors involved in an enterprise to create an architecture for Boundaryless Information Flow within that enterprise. When can we expect the first standard from Open Platform 3.0? DL: Well, we published the Cloud Ecosystem Reference Guide, and again the understanding of how business partners relate in the Cloud world is a key component of Open Platform 3.0. The Forum has a roadmap, and will start publishing the case studies still in process. The message I would say is there’s already early value in the Cloud Ecosystem Reference Model, which is a logical continuation of cloud work that had already gone on in the Work Group, but is now part of the Forum as part of Open Platform 3.0. CH: That’s always a tricky question however I can tell you what is planned. The intention, as I said, was to produce a Snapshot definition by the end of March and, given we are a quarter of the way through the meeting at this conference, which is the key meeting that will define the basis for that, the progress has been good so far, so I’m optimistic. A Snapshot is not a Standard. A Snapshot is a statement of ‘this is what we are thinking and might be what it will look like,’ but it’s not guaranteed in any way that the Standard will follow the Snapshot. We are intending to produce the first Standard definition of the platform in about a year’s time after the Snapshot. That will give the opportunity for people not only within The Open Group but outside The Open Group to give us input and further understanding of the way people intend to use the platform as feedback on the snapshot, which should be the basis for the first published standard. For more on the Open Platform 3.0 Forum, please visit: http://www3.opengroup.org/subjectareas/platform3.0. If you have any questions about Open Platform 3.0 or if you would like to join the new Forum, please contact Chris Harding (c.harding@opengroup.org) for queries regarding the Forum or Chris Parnell (c.parnell@opengroup.org) for queries regarding membership. Dr. Chris Harding is Director for Interoperability and SOA at The Open Group. He has been with The Open Group for more than ten years, and is currently responsible for managing and supporting its work on interoperability, including SOA and interoperability aspects of Cloud Computing, and the Open Platform 3.0 Forum. He is a member of the BCS, the IEEE and the AEA, and is a certified TOGAF® practitioner. Dave is Chief Technical Officer (CTO) and Vice President, Services for The Open Group. As CTO, he ensures that The Open Group’s people and IT resources are effectively used to implement the organization’s strategy and mission. As VP of Services, Dave leads the delivery of The Open Group’s proven collaboration processes for collaboration and certification both within the organization and in support of third-party consortia. Dave holds a degree in Electrical Engineering from Worcester Polytechnic Institute, and is holder of three U.S. patents.